Food Allergies are common in children. 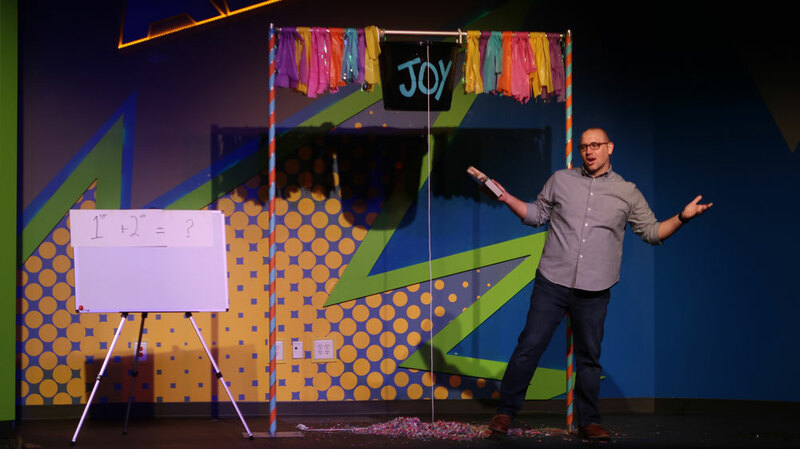 Kids Ministry should be a place where kids are safe & details such as food allergies are important. 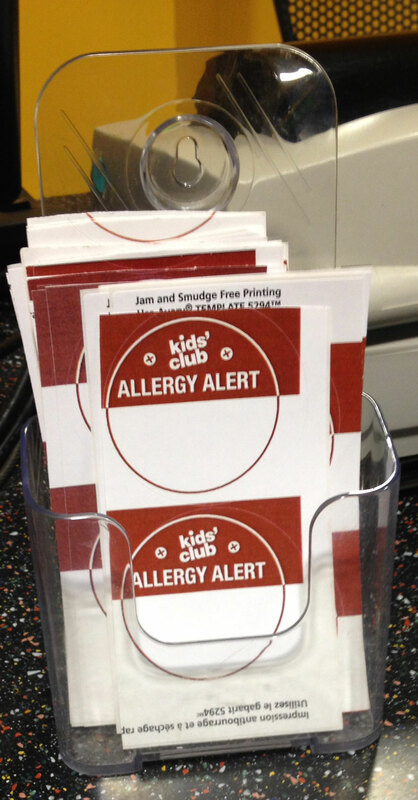 When I was at Crossroads Church they told me about their system when it comes to Food Allergies. 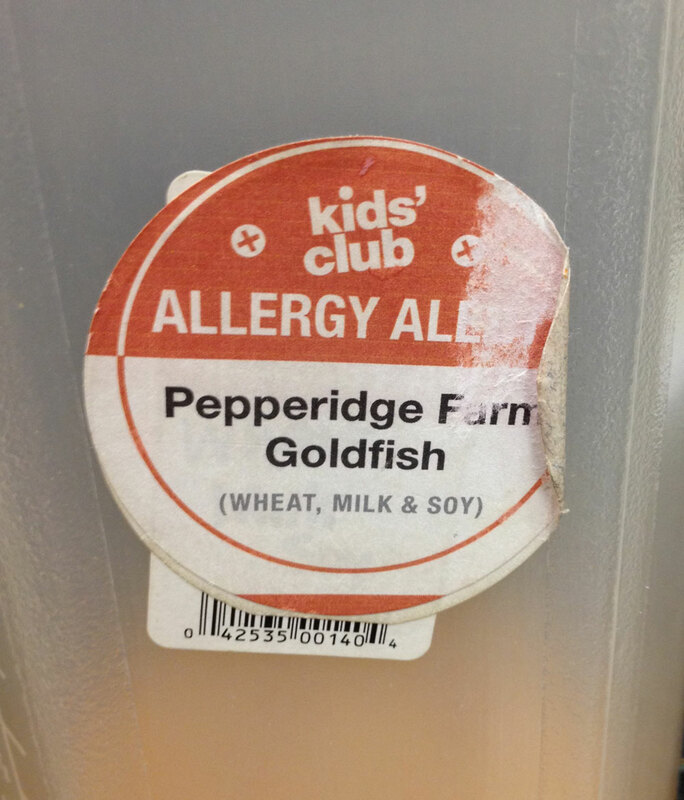 Parents are responsible to put an Allergy Sticker on their child each week. Stickers are available at every check-in station. 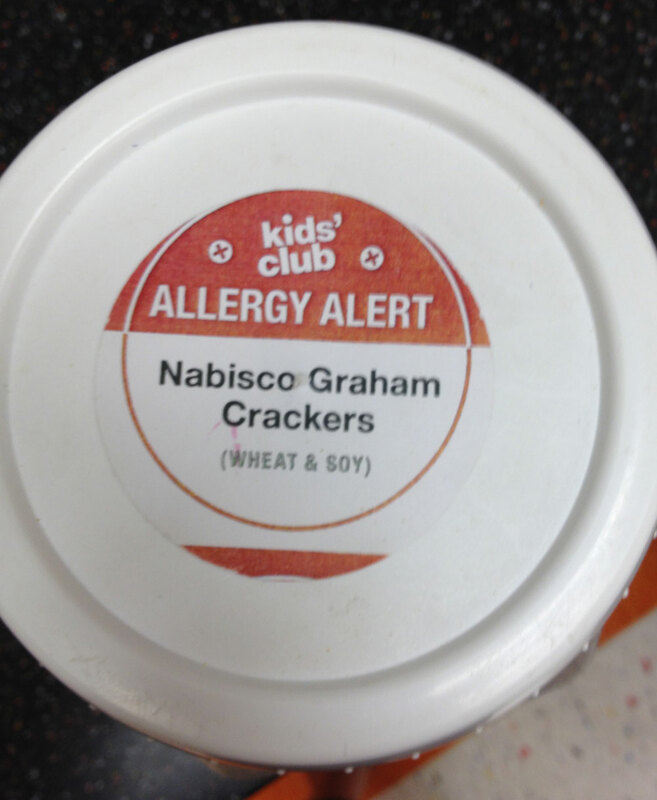 Parents simply write the allergy on the sticker, and put it on their child. They use round stickers that have red printing on them, so that it stands out from their name tag. Snack options are limited to 2 choices. 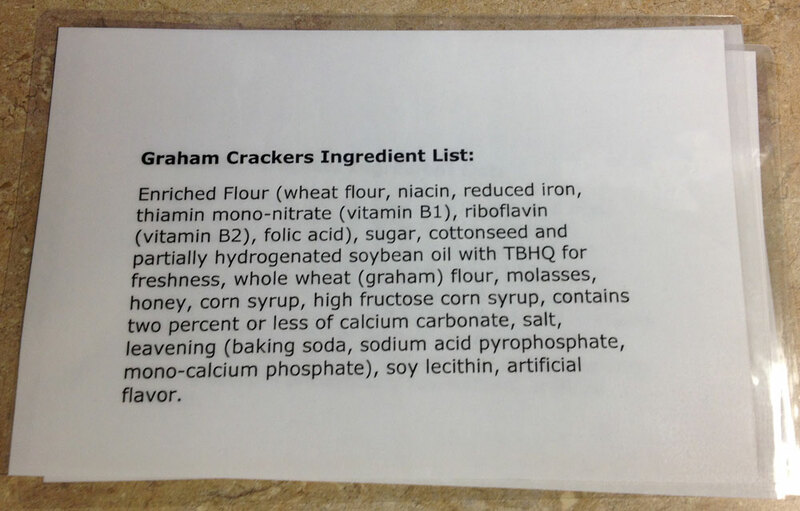 Goldfish crackers & Graham Crackers. That’s it. Nothing else. A list of ingredients is taped on the inside of the cupboard door for volunteers to easily reference. The font size is much larger than what you would read on a packaging label. Easy to read! A list of ingredients is laminated & kept in the snack cupboard to give to parents to read if they ask about an ingredient list. Crossroads has taken the time to create a system that works when it comes to food allergies. The information is readily available for volunteers, and parents have the opportunity to clearly communicate the needs of their child with a sticker which serves as a visual reminder to the volunteers in that room. If you would like to see some pics of the kids area at Crossroads Kids Club in Cincinnati, click here. 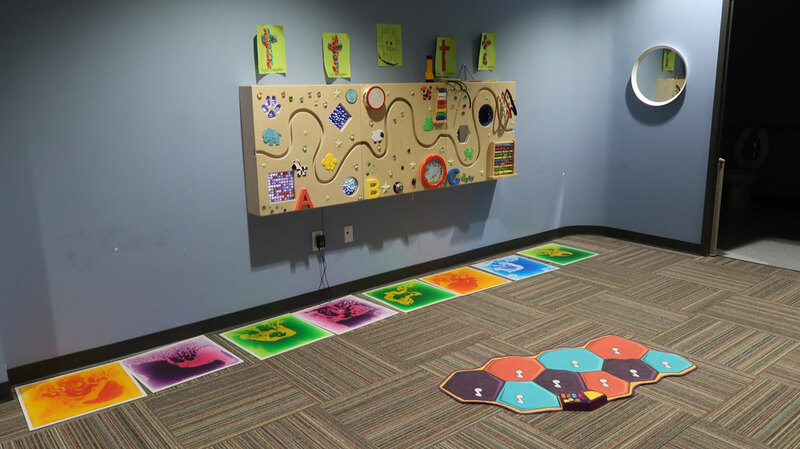 If you would like to see some pics of the preschool area at Woodstock City Church in Atlanta, click here. For ideas about great preschool worship songs, click here. 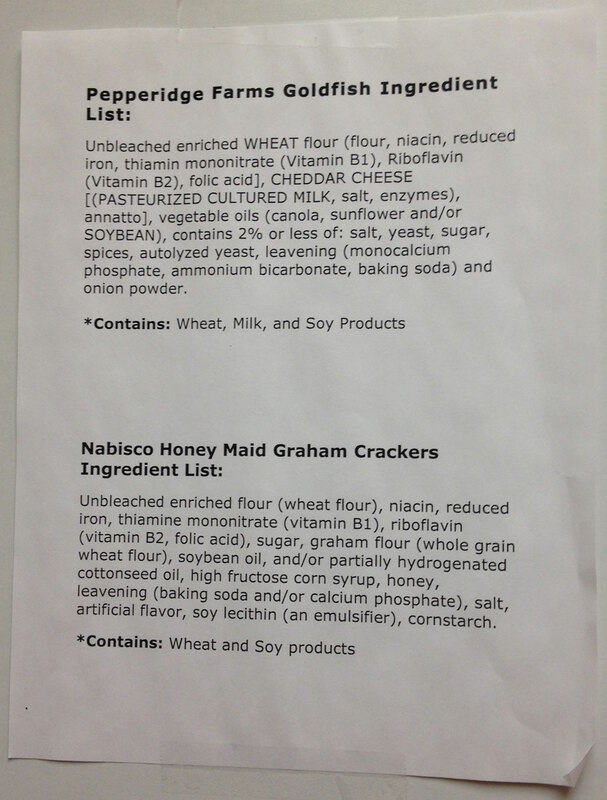 So no snack alternatives are offered to the kids who have food allergies? Do the parents provide a snack for that child or is the child just left snackless? Hi Tami, The parents bring a snack for their own child. From what I understand, this works well for them. It’s been my experience that parents of children with food allergies PREFER to bring their own snacks. I’ve never had the problem of a child being left snack less. Just wondering where you ordered your stickers from? I saw them at Crossroads Church in Cincinnati. They were probably avery labels that they printed on. You might consider having one snack that is gluten free. They couldn’t eat either of those. Hi Kay, Yes. We have some options available for kids with specific needs as well.